Most cocktails aren’t a big commitment to make, if you’re a cocktail fan of any sort. You’ve got the supplies, a well-stocked bar and the know-how to mix them. There are some cocktails, though, that take far more effort than the average Margarita or Martini (though getting even these drinks just right is no small feat). We’re talking dozens of ingredients, complicated home-made tinctures and infusions and fire. That’s right—fire. Intrigued? Take a look at five super-complicated cocktails and see if you’d be game to make them at home. The Commonwealth contains a whopping 71 ingredients. With a grand total of 71 ingredients, the Commonwealth is, without a doubt, the most ingredient-heavy drink on this list. We’re not entirely sure how so many ingredients fit into a standard coupe glass. But Glasgow-based mixologist Mal Spence managed to do it in honor of the 2014 Commonwealth Games. The ingredients hail from all over the world—just like the competitors—and include everything from prickly pear from Namibia and okra from Jamaica to honey from New Zealand and saffron from Pakistan. See the full ingredient list. Ever tried fat-washing liquor? It’s not quite as gross as it sounds, but, in this case, it does require a good amount of pork fat. In essence, fat-washed liquor is basically just an infusion—one that takes time and is a lot messier than most infusions. This recipe from Manhattan’s Empellón Cocina uses fat drippings from a rack of slow-cooked pork ribs. Add an equal amount of mezcal to the mix, let it sit in the freezer overnight and strain. Easy peasy, right? As if pork fat–washing the mezcal isn’t enough of a project, the drink’s spicy habanero tincture garnish also requires a bit of thinking ahead. Though it’s probably worth it for that perfect touch of spice. Get the recipe. Shake it. Shake it real good. At first glance, this recipe may not seem that hard. Sure, it has more ingredients than usual, including cream and egg white. And the instructions are pretty basic: Dry shake. Add ice. Shake again. Strain. What gets a bit lost in translation is how long and hard you actually have to shake the Ramos Gin Fizz in order to get the consistency just right. As any New Orleans bartender worth his or her snuff would know, it takes some major elbow grease to churn these out day after day. Let this be a lesson to home bartenders hoping to master this frothy concoction: Shake it until you can shake no more. Get the recipe. The Bloody Mary is a vodka-soaked nutritional breakfast and hangover cure all in one. Why’s it have to be so complicated? Okay, okay. This is actually pretty easy if you have a good pre-made Bloody Mary mix on hand. But a few years ago, the brunch staple Bloody Mary was named the most complicated drink by the American Chemical Society. Da Costa has a few tips on how to get the most out of the perfect Bloody, including using inexpensive vodka, splurging on real tomato juice and using lots of ice, which “helps to slow down the chemical reactions involving acids in tomato juice and other ingredients that degrade the taste.” Check out more of his tips and get the recipe. You may not want to try this Rum Martinez recipe at home. Japan is known for a unique kind of creativity when it comes to food and mixology. 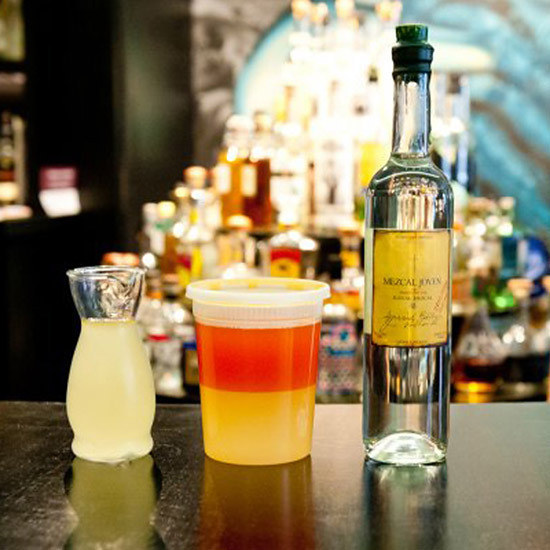 Bartenders are willing to go the extra step to get each element of a cocktail to work in harmony, and this Rum Martinez from Japanese bartender Takumi Watanabe proves it. Toasted wood chips, digital smoke infusers and 23-year-old rum give a combination of maraschino liqueur and vermouth a boost—but it’s not an easy process. Get the recipe.